Contact dermatitis. The hand of a ten year-old girl affected by contact dermatitis. Several itchy flaky blisters are seen on the child's hand. 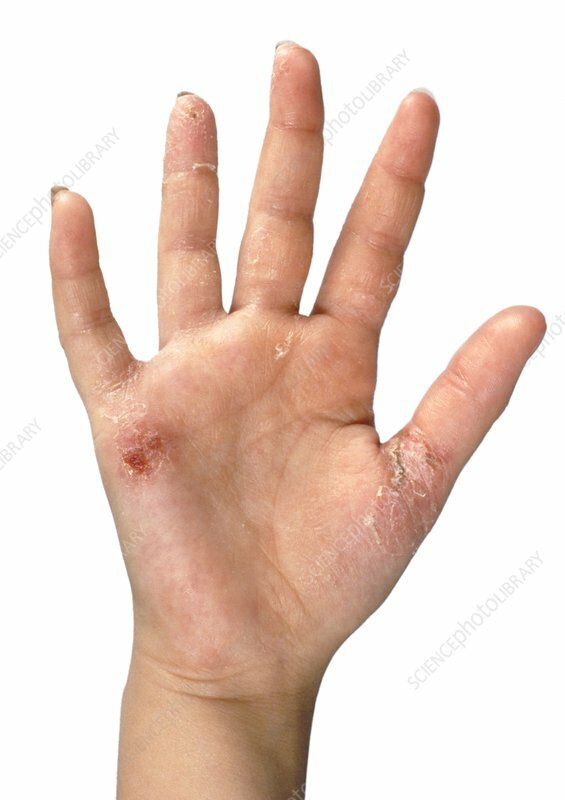 Contact dermatitis is a type of eczema caused either by a toxic reaction to a particular substance or by an allergic reaction. Certain compounds such as detergents, nickel, plastics and cosmetics are known to cause such skin reactions. The type of rash varies according to the substance causing it and may be treated with either soothing creams or corticosteroid drugs.